The Tractor Project was completed in the younger classroom of the Ruth Staples Child Development Laboratory at the University of Nebraska–Lincoln. The laboratory serves children ages 18 months through 5 years old. This classroom includes children from 18 months through 3 years old. The center has a three-part mission of providing excellent child care, high-quality teacher preparation, and innovative research. Children and teachers learn together through an emergent curriculum built on children’s interests. The Ruth Staples Child Development Laboratory is on the university’s East Campus. Directly to the north of its large outdoor play space is the tractor test laboratory. At the start of the school year, children noticed the tractors being driven at the neighboring tractor test lab. Each time children went outside, they ran to the fence to see the large machines and hear the loud sounds. Student teachers Sara, Brianna, Ashley, and Jordyn selected tractors as a topic for project work. The teachers noticed that the children often indicated to their teachers that the tractors were outside and would indicate they heard the noise of the tractors. The teachers anticipated that the children would learn about the parts of a tractor and learn about equipment that can be pushed or pulled by a tractor. They also thought the children would have the opportunity to listen for the various sounds of a tractor. At the end of the project, they thought the children might have a chance to demonstrate an understanding of the many uses of a tractor. A variety of toy tractors were introduced into the classroom. Different sizes and types of tractors and farm equipment were displayed in the block area to allow children time to explore together through common experiences. Teachers used their observations of children’s play and conversations to determine the children’s understandings of tractors. To launch the project, the children made a field site visit to the Larson Tractor Museum next to the laboratory school. The museum displays many tractors from throughout history. The children could see the type of tractors used decades ago next to more modern tractors. Their favorite area to explore was a tractor cab that they could climb into and take turns moving the steering wheel back and forth, pretending to drive. The children noticed the many knobs and buttons inside the cab and enjoyed pushing each one of them. At the end of each visit, the children were disappointed they had to leave. During a subsequent planning session, student teachers decided to contact the tractor test laboratory to see if it could lend the classroom any “spare parts” for children to explore. The teachers and children were thrilled when the tractor test lab director volunteered to drive over a lawn tractor, safely secure it, and allow children to explore it in the playground for several weeks! It became a permanent fixture of the playground until the weather changed and was needed for snow removal. This opportunity allowed the children to safely explore, wash, and care for the tractor. Children relayed their understandings of the parts of a tractor through their play and conversations in the outdoor classroom. To provide an additional opportunity for conversation, the teachers added felt pieces for children to explore. On the flannel board, the children could look at the pieces closely, take them apart, and put them back together. The teachers wrote down the children’s words from their conversations. Teachers also arranged for children to view a video of a tractor with a variety of attachments using an iPad in the classroom. Owen, Jasper, and Remy pointed out some of the tractor attachments on the video as they watched. They were excited to show their parents when they arrived for pickup. Children were also introduced to observational drawing. While looking at the tractor, children used clipboards, an outline of a tractor, and crayons of appropriate colors to represent the tractor as they saw it. Children used different colors for different parts of the tractor. They practiced looking at the tractor and then making marks on the paper. The children made a second visit to the Larson Tractor Museum to compare the museum’s tractors with the lawn tractor they had been exploring on the playground. As children investigated the tractors in more depth, they began to ask questions the teachers couldn’t answer. To help the children get answers, the student teachers arranged for a college student who worked at the tractor test lab to visit and talk to the children. The children had many questions and were very interested in talking about the tractor parts. The conversations provided insight into the children’s growing understanding of the topic as they were able to ask relevant questions and connect their observations to their other experiences. The snow blower attachment on the front of the lawn tractor interested the children, and they begin investigating other types of equipment that could be attached to tractors. Teachers focused on opportunities for children to see tractors pushing and pulling other equipment. To explore the size of the tractors, the student teachers arranged for the children to visit the tractor test lab. The children had the opportunity to view large parts stored in bins. One of the workers explained that these are the parts that weigh down the tractors so they don’t tip over. The children were also interested in tire treads and a loader attachment. As fall wore on, the weather began to change and snow was in the forecast. The tractor in our outdoor space was needed back at the tractor test lab to remove snow. The children all lined up to watch the tractor return to the test lab. The children yelled, “Bye tractor” and waved as one of the workers drove it away. With the tractor gone, the children decided to build their own tractor from scrap materials and recyclables brought in by families. Children participated at their comfort level in the various tasks of selecting materials, designing, gluing, taping, and painting. The teachers shared the project with families during a family night program. Student teachers created a matching game of tractor parts for children to play with their families. They also shared the finished documentation about the project in the form of a bulletin board display, photo slideshow, and a children’s book. This project was conducted collaboratively by the student teachers with guidance from the lead teachers in the classroom as the project progressed. The length of the project was 14 weeks, with a marked decrease in interest in late October. Our student teachers thought the project might be ending. However, after a visit to the tractor test lab, children renewed their interest and asked new questions to move the project forward. Student teachers also reflected that if they were to do the project again, they would try to find additional speakers to come in and share with the children. Children enjoyed hearing about the different parts and getting to ask specific questions about the things they cared about. Student teachers were able to use the project to assess children’s learning in a variety of domains. In the area of art and representation, student teachers reflected that they should have tried to find additional ways for children to represent their understandings. They would have also liked to find a way for children to observe a tractor working in a field, but they were limited to locations on the city bus route. When the student teachers reflected on the project with us, they remembered completing their anticipatory web and not knowing what direction children would take the project. We reminded them of all of the research they had conducted with the children to learn about the tractor parts, and together we realized how much the children and teachers accomplished as co-investigators. There are some specific challenges working with toddlers on project work. 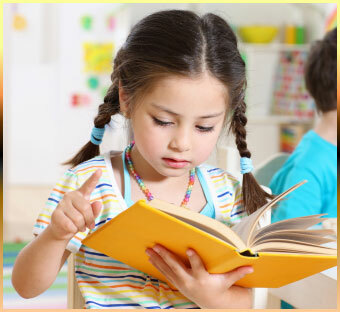 Very young children are still building their ability to focus and pay attention. Children in this age group change interests quickly. Because it may appear that children have lost interest momentarily, it is important not to stop the project prematurely when you observe disinterest in a portion of the project. Sometimes it just means that they are interested in something else at that moment and will return to the topic. We found it helpful to revisit the provocations that inspired the project and consider presenting them to children again to see whether it renews their interest. Communication skills are important to consider when working with toddlers on a project. Toddlers will show you what they care about, but they the may not tell you verbally. The teacher can decipher what their interests and questions are through keen observation of the children and making an effort to be present as children explore. When implementing projects with toddlers, we have found support from colleagues and co-teachers to be very beneficial. Working with other adults who also hold the belief that children are competent and capable learners immerses us in an environment where children are respected and the challenges of emergent curriculum for any age are embraced. Erin Hamel was master teacher, Mollie von Kampen was head teacher, and Sara Dolezal, Brianna Kennedy, Ashley McConnell, and Jordyn Nikkilaa were student teachers during this project.